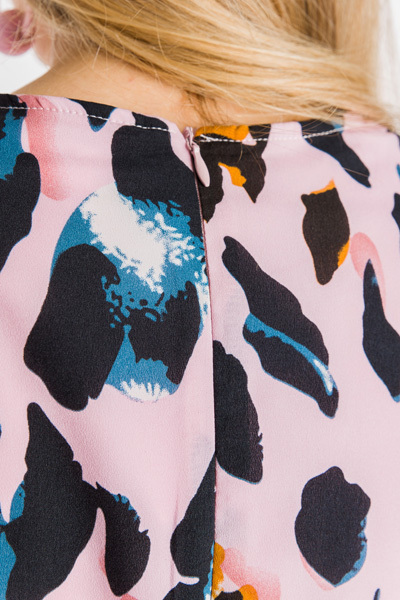 Our best-selling pink leopard print is back - this time in a dress! 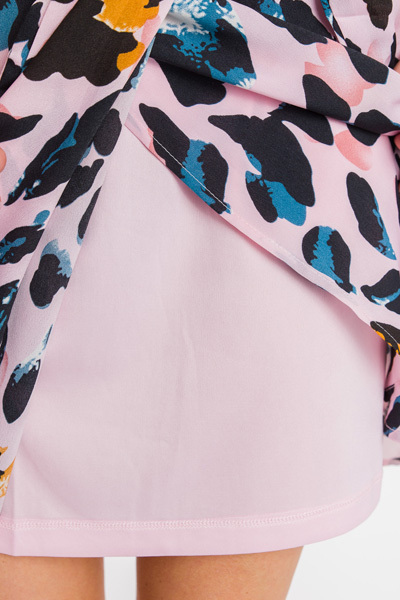 It has a conservative and flattering shape with its wrapped & tied feature and higher neckline + a front keyhole cutout and boxy sleeves. Dress is fully lined and features a zipper back closure.